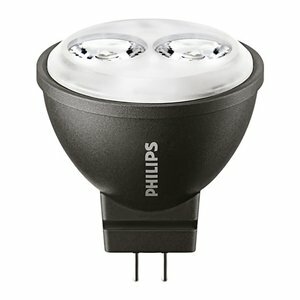 Philips Master LEDspotLV 3.5w = 20W 827 MR11 24D. This 12V GU4 LED lamp replaces the halogen 20w light source. The 3.5 watt LED spot gives a warm white light color 2700k. The lamp has a diameter of 35mm, height is 40mm.